A 10-year-old girl was reassessed for detailed cardiovascular problems. 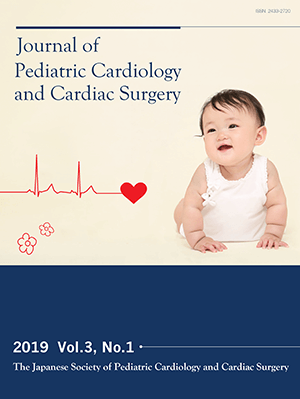 She underwent an extracardiac total cavopulmonary connection (TCPC) at 4 years of age, following staged operations with banding of pulmonary artery and bidirectional Glenn anastomosis for single ventricle. She had been on anticoagulant therapy after TCPC. She did not have any apparent cardiovascular problem except malaise upon exercise. Blood studies did not show elevation of liver enzymes, but an enhanced CT scan revealed heterogeneous hepatic parenchymal enhancement, multiple hypervascular nodules in the liver, and splenomegaly, which suggested progression to congestive liver injury. The central venous pressure was 14 mmHg, which was slightly high for Fontan circulation. But angiography did not show any remarkable blood flow congestion or thrombosis around the conduit. Congestive liver injury should be considered as a late complication of right heart bypass surgery including TCPC that warrants careful observation and prompt therapy.